Yesterday the University of Exeter Business School presented its report on professional development and the needs of Executive Education in a seminar at the Business School. 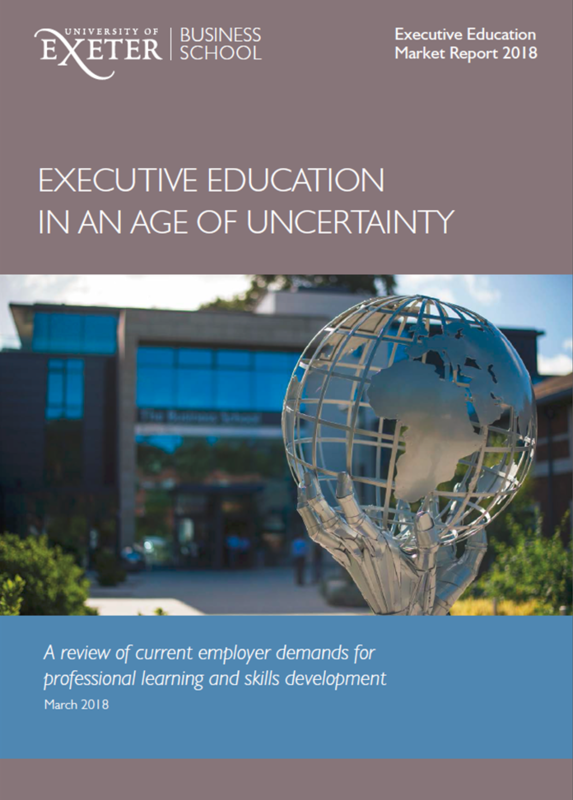 ‘Executive education in an age of uncertainty’ shared the findings of a study involving nearly 50 business and public sector organisations in the South of England. Codexx was pleased to be involved in the study as the lead research partner and build on its existing relationship with the Business School by supporting Bill Russell, the Director of Executive Education in this project. The report provides insights into the challenges and approaches organisations are taking for professional development in these ‘uncertain’ times – with a combination of Brexit, economic challenges, accelerating technology and new business models. It also identifies key requirements for the providers of Executive Education based on the feedback from organisations in the study interviews and questionnaire. The report also shares the new degree and executive education services the Business School will be launching from 2018, enabling organisations to make use of the Apprenticeship Levy for Level 6 and Level 7 personnel development. For more information on the Executive Education programmes, contact the University of Exeter Business School here. How can Enterprise Systems like SAP enhance the performance of professional service firms? To help answer this question, SAP will be hosting their first international conference for Professional Services in Amsterdam on the 10-1th October 2017. Re-engineering & automating services delivery – Key success factors. Further information on the conference and presenters. Alastair Ross, Director of Codexx, is presenting at the Institute of Export and International Trade event on Thursday 6th July 2017 – ‘Blueprint for Global Britain’ which is being held at the University of Plymouth. The event is aimed at businesses in the South West of the UK that are working in international trade. The event will examine the issues and opportunities in accessing new markets and the debate will help to shape the future of international trade. Alastair Ross will present on ‘Innovating product and service value for global markets‘. His presentation will show how businesses can optimise their product or service proposition for different international markets by assessing the value requirements of users and how they vary by market and geography and then tuning their offering – or providing suitable support services – accordingly. The presentation shares learning based on Codexx innovation projects and makes use of the Value Table model. For more information on the event: Blueprint for a global Britain. New videos have been added to the our YouTube channel ‘Business Innovator’. The Business Innovator channel is our channel for sharing innovation approaches and our professional experience with a wide community of businesses, change agents and students. Videos are intentionally short – to provide interest and insights within ‘bite-sized’ chunks. Why not take a look – we hope you find them useful – and we welcome any comments! 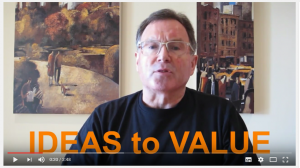 Two new videos have been added to the our YouTube channel ‘Business Innovator’. The Business Innovator channel is our new channel for sharing innovation approaches and our professional experience with a wide community of businesses, change agents and students. Our videos will be intentionally short – to provide interest and insights within ‘bite-sized’ chunks. 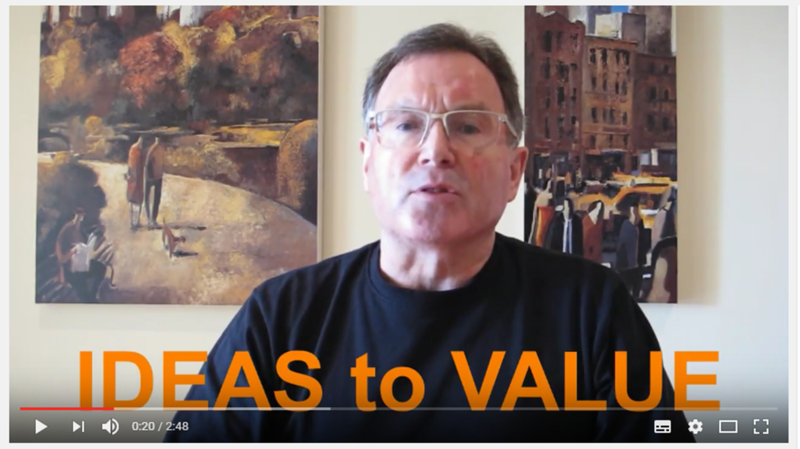 The first new video introduces business innovation as a ‘journey to value’ and explains how innovation mastery comes from the application of an holistic and systematic approach to innovation within a business. Watch video here. The second video looks at innovating service design and delivery in Professional Service firms and identifies 5 key success factors, based on Codexx project experience. Watch video here. We hope you find them useful – and we look forward to your comments. Let us know areas you would like us to cover in future videos. Alastair Ross’s new book Sowing the seeds of business transformation was published on the 18th February and is available in paperback on Amazon. The book is aimed at change leaders who are seeking inspiration and guidance for transformation in their own businesses – in both industrial and knowledge intensive service sectors. It is a practical guide, based on project work and detailed case studies and is suitable for transformation projects in a single service or process, a function or department, business unit or firm wide. Sowing the seeds of business transformation examines key transformation-enabling tools and methods such as Value Analysis, Systematic Innovation, Lean, User-Experience, Re-engineering, Continuous Improvement, Business Model Innovation and Digitisation. Multiple case studies are used to illustrate the use of these methods including businesses such as Nokia, IBM, Blackberry, Apple, Allianz, British Airways, Amazon, Nintendo, AXA and Ryanair. 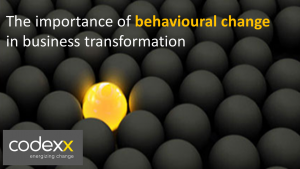 The book also provides proven frameworks and effective approaches to enable a programme of business transformation. For more information on the book, to read sample pages or order copies, go to Amazon. Alastair Ross, Director of Codexx, spoke at the Chartered Institute of Marketing’s Levitt Group on Friday 12th June 2015 at their ‘5 Great Minds’ event held in Regent’s University in London for senior marketing professionals. His presentation was entitled ‘Innovating Professional Services – transforming value and efficiency’. His session introduced the ‘Why?’, ‘What?’ and ‘How?’ of improving competitiveness through innovation in professional service firms. The event also introduced Alastair’s new book ‘Innovating professional services’. To see a copy of the event brochure, click. How do firms respond to these challenges? One key approach is in utilising innovation to improve competitiveness. Progressive firms are seeking to increase the value they provide to clients – through new and enhanced services and improved service experience for example. They are also seeking to improve their efficiency of doing business – and thus improve their price competitiveness. Alastair Ross, Director of Codexx, has utilised Codexx experience gained over the last decade in consulting to professional service firms in innovation and re-engineering to write a practical guide to change agents in professional service firms seeking to exploit innovation within their organisation. The book provides a detailed introduction into key innovation and re-engineering techniques, such a client value profiling, process mapping, waste elimination and change management. There is a strong pragmatic approach to dealing with the typical challenges encountered in driving major service innovation and culture change. The book features extensive case studies in legal, insurance, financial and business services. 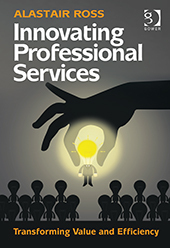 ‘Innovating Professional Services: Transforming Value and Efficiency’ by Alastair Ross was published by Gower on 8th May 2015. You are currently browsing the archives for the Codexx News category.